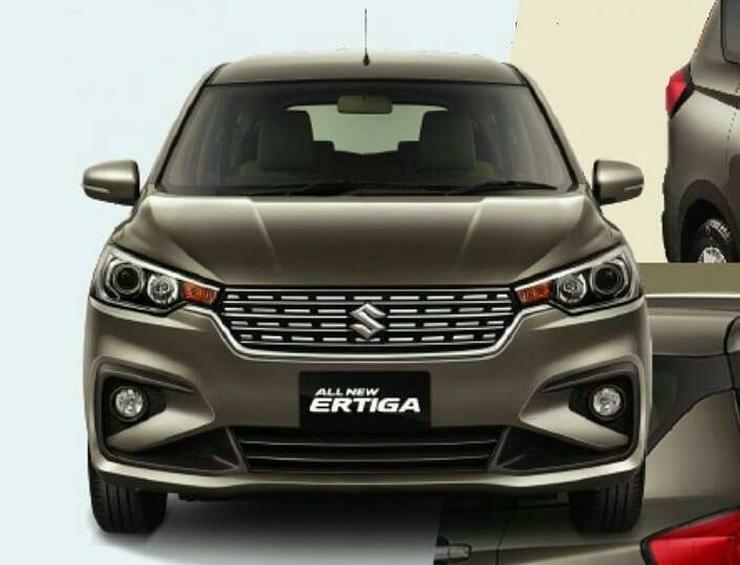 A brochure of the all-new 2018 Maruti Suzuki Ertiga has leaked onto the internet, revealing almost all there is to know about the brand new MPV that is months away from making its Indian debut. The new MPV was officially revealed at the Indonesia International Motor Show earlier today. 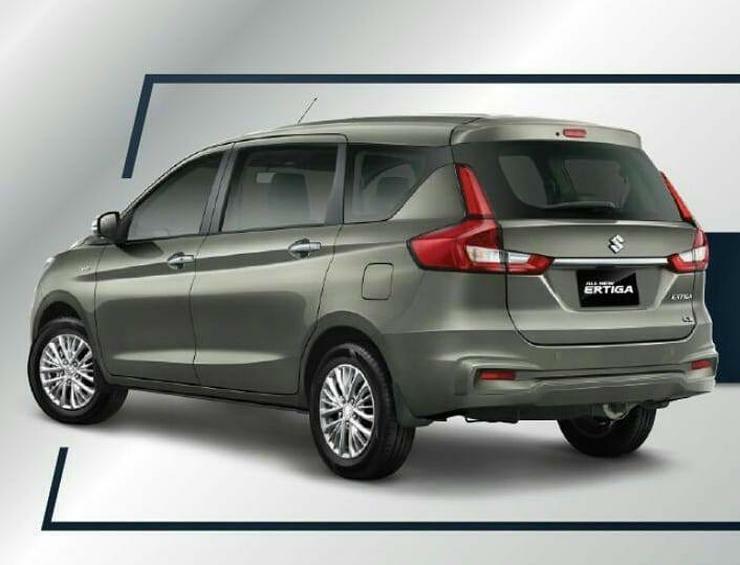 The new Ertiga will be launched in Indonesia first but will be shipped to that country from India as a completely built unit (CBU), which means that the production of the MPV will begin in India in just a few weeks from now. Firstly, the brochure reveals the front and rear end styling of the new Ertiga, which looks quite contemporary yet pleasing. 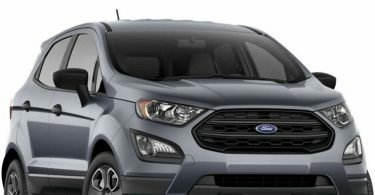 The MPV looks a lot more mature, and if we may add, premium than the outgoing model. Full marks to Maruti’s designers. The new Ertiga uses the HEARTECT platform that it shares with the new Maruti Swift, Dzire and Baleno. The platform’s lightness and better stiffness is said to improve both fuel efficiency and handling. The Indonesia-spec Ertiga uses a 1.5 litre K-Series petrol engine with 105 PS and 138 Nm. Fuel efficiency is rated at 18.06 Kmpl. Five speed manual and 4 speed automatic gearbox options are available on the petrol MPV. 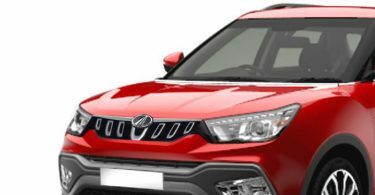 The India-spec version is likely to get a brand new, 1.5 litre turbocharged diesel engine developed in-house by Suzuki. The new diesel engine will replace the 1.3 litre Fiat Multijet diesel unit. While a 5 speed manual gearbox is likely to be standard with the diesel, it remains to be seen if an AMT option is also offered. The new Ertiga is larger than the outgoing version in terms of length (by over 130 mm) and width (by about 50 mm). It’s 10 mm shorter while the wheelbase remains unchanged at 2,740 mm. More spacious interiors are likely, and this will be welcomed by all. The new MPV gets a new interior design that’s beige heavy and is similar to the one found on the Dzire compact sedan. 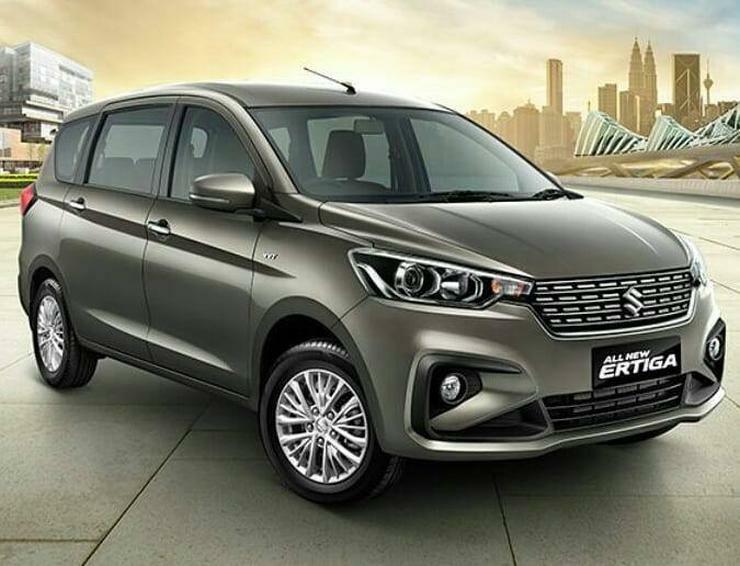 The 2018 Maruti Ertiga sold in Indonesia gets ABS and twin airbags as standard while top-end variants also get ESP. In India, Maruti Suzuki is expected to offer ABS and airbags as standard across the variant line up of the new vehicle. As for new features, keyless entry, push button start, projector headlamps, cooled cup holders, multiple charging outlets, a new instrument cluster and a Smartplay touchscreen infotainment system are on offer.